Great news for fans of the discipline: the great biannual hill climb celebration will take place in Gubbio, Italy from 12 to 14 October. After the Grand Duchy of Luxemburg in 2014, and the Czech Republic in 2016, the FIA Hill Climb Masters sets its sights on Italy – a country filled with passion, tradition and top champions. And for an event that strives to be prestigious and festive, the medieval town of Gubbio, in Umbria, will be the perfect setting for the Masters, with its charming little narrow streets, its history, traditions, Roman theatre, Palazzo dei Consoli and its love of motor sport. Luigi Fagioli, Formula 1 Alfa Romeo driver in 1950 and 1951, a contemporary of Fangio, Nuvolari and Farina, spent most of his life in the Gubbio region and it’s in his honour that the local automobile club has been organising a hill climb race since 1966 – the “Trofeo Luigi Fagioli” – which weaves up a neighbouring hill and through the Gola de Bottaccione archaeological site. The traditional version is 4.1 kilometers long, but the course will be shortened to 3.3 km for the FIA Hill Climb Masters. The start will be higher up, but the finish line will still be at the summit of the hill, at Madonna della Cima, where spectators have a spectacular panoramic view of the last 700 metres. There will be even better coverage of the race, as the plan is to stream it live, as was the case for previous editions. The battle will also be even more intense and dynamic since, to fulfill the requirements of the specific format for a Masters and its Nations cup, each competitor is allowed three timed climbs – versus the two permitted in the majority of other hill climb races. The Masters have proved in the past to be an event unlike any other. Of course, it is a competition – it is difficult to prevent any driver from aiming for pure performance – but it is also a festive affair, in which champions from many backgrounds get to meet up once every two years. The friendly atmosphere of the Masters is also reinforced by the Nations Cup, for which the nations’ parade on Saturday evening, complete with flags, and traditional and folk music and costumes – counts as much as the final standings and the medals ceremony. To give each team a chance and to minimize any disparities which might exist between the cars entered by each country (depending on their national technical regulations), this Nations Cup is based on the regularity, rather than the speed, of the four drivers selected by the federations (ASN) to represent them. Thus, despite not having any cars able to contend for overall individual victory, Slovakia was able to win the Nations Cup in 2016. As for the individual event, this incorporates the best of the best. 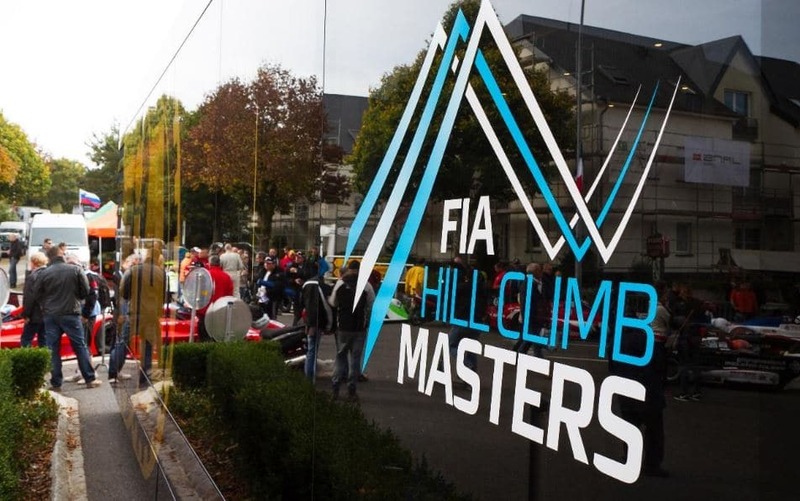 Admission to the Masters is subject to the results obtained either in the FIA European Hill Climb Championship (top 12), in the FIA International Hill Climb Cup (top 12) or in the national (top 5) or regional (top 3) championships. Compared with previous editions, the format of the 2018 Masters has undergone a few adjustments. The number of categories – and therefore gold, silver and bronze medals – will go from three to four. Categories 1 and 2 maintain the set up they had in the FIA European Championship. However, deemed too disparate, the ex-Category 3, reserved for cars compliant with the national regulations, will be divided up across Categories 3 and 4, for touring cars and competition cars respectively. Save the following dates: 12, 13 and 14 October 2018 for the great hill climb celebration, which will take place in the center and in the hills of Gubbio. Access to the regulations of the Competition via this link. Next Next post: FIA HILL CLIMB MASTERS: REGISTRATION IS OPEN! Buzetski dani shared a post. Buzetski dani added 30 new photos — with Toni Pavletić at Buzetski dani. Copyright 2019 BUZETSKI DANI. Design and development by CREATIVERSIS. In order to ensure the proper operation of this website, we sometimes store small data files known as cookies on your devices. These cookies make the site usable by providing basic functions such as page navigation and access to protected areas. A Web page may not work properly without these cookies. Allow the web page to remember information that changes the way the page behaves or looks like your preferred language or region you are in. Statistical cookies by anonymous collecting and sending data help site owners to understand how visitors interact with the site. Marketing cookies are used to track visitors through webpages. There is a need to show ads that are relevant to a particular user and encourage them to participate, which is important for third-party publishers and advertisers. These cookies make the site usable by providing basic functions such as page navigation and access to protected areas. A Web page may not work properly without these cookies. Allow the web page to remember information that changes the way the page behaves or looks like your preferred language or region you are in. Statistical cookies by anonymous collecting and sending data help site owners to understand how visitors interact with the site. Marketing cookies are used to track visitors through webpages. There is a need to show ads that are relevant to a particular user and encourage them to participate, which is important for third-party publishers and advertisers. These cookies make the site usable by providing basic functions such as page navigation and access to protected areas. A Web page may not work properly without these cookies. Allow the web page to remember information that changes the way the page behaves or looks like your preferred language or region you are in. Statistical cookies by anonymous collecting and sending data help site owners to understand how visitors interact with the site. Marketing cookies are used to track visitors through webpages. There is a need to show ads that are relevant to a particular user and encourage them to participate, which is important for third-party publishers and advertisers. These cookies make the site usable by providing basic functions such as page navigation and access to protected areas. A Web page may not work properly without these cookies. Allow the web page to remember information that changes the way the page behaves or looks like your preferred language or region you are in. Statistical cookies by anonymous collecting and sending data help site owners to understand how visitors interact with the site. Marketing cookies are used to track visitors through webpages. There is a need to show ads that are relevant to a particular user and encourage them to participate, which is important for third-party publishers and advertisers.